Fireproof, the latest film from the creators of Facing the Giants and Flywheel, is now available on DVD! Starring Kirk Cameron, the Fireproof movie portrays the inspiring love story of a firefighter, his wife, and a marriage worth rescuing. At work, Capt. Caleb Holt (Kirk Cameron) lives by the old firefighter's adage: "Never leave your partner behind". At home, he lives by his own rules. His job is to rescue others. Now Caleb Holt has to face his toughest job ever, rescuing his wife's heart. Created by a church in Georgia to evangelize non-believers and encourage believers, this inspiring story about a losing high school football coach with a new game plan will have your whole town talking about trusting God for the impossible! After six consecutive losing seasons and fear surrounding his life, coach Grant Taylor turns to God in desperation. Taylor and his Shiloh Christian Eagles soon discover how faith plays out on the field and off! Jay Austin wants to sell cars in the worst way---and that's exactly how he conducts business at his dealership. His manipulative behavior spoils his relationships---even his family can't trust him. But as he restores a classic auto, he comes face-to-face with a startling reality---God's restoration! Will he take the road to redemption? Grammy Award-winning recording artist Michael W. Smith makes his film debut playing Ethan Jenkins, a musician-turned-pastor who's rocking the pulpit and his well-to-do suburban flock. When the church board sends him on sabbatical, Ethan decides to help Second Chance Community Church, an inner-city fellowship. But Pastor Jake resents Ethan's arrival. Can they overcome their prejudices and find common ground? The mean streets of Armstrong Cane's old neighborhood haven't changed, but the convicted felon has. Transformed by faith, Cane feels called to assume the leadership of his father's church. But dealing with his violent past isn't easy, and temptations rear their ugly heads. Will he trust God to help him overcome the challenges before him? Starring Ving Rhames, Dean McDermott, and Ricardo Chavira. 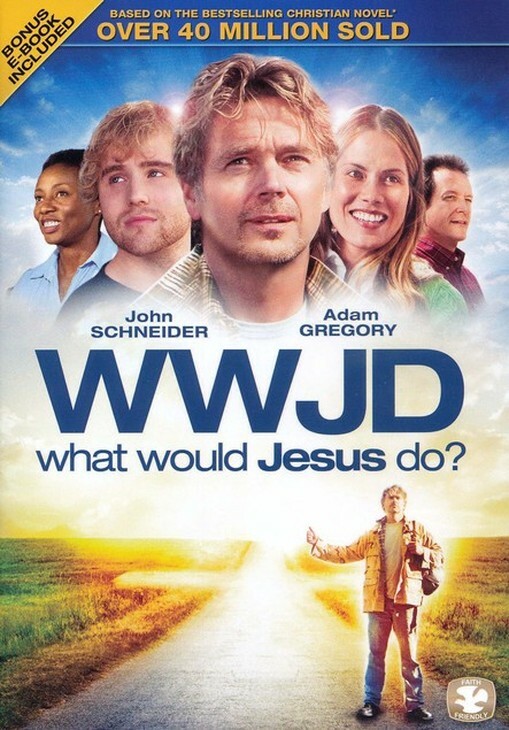 WWJD: WHAT WOULD JESUS DO? When Raymond, California, hits hard times, pastor Henry Maxwell and his congregation fight for survival. But politician Alex York wants to bring back prosperity---by building a casino. When a drifter makes pleas for the poor, Henry and five church members decide to apply Christ's precepts. Will their example convince townsfolk to choose morality over money? Welcome to the City of Angels, where heartache and despair are the wages of sin. When 10 citizens break God's commandments one by one, they sink deep into the chaotic mire of pain and loss---until they surrender their lives to a mysterious stranger who has no beginning or end. A gritty allegory about grace and redemption! Battling brain cancer, 8-year-old Tyler Doherty turns to God as his own private pen pal. It's his way of praying---but beleaguered neighborhood postman Brady McDaniels has no idea what to do with envelopes addressed to heaven! As he gets to know Tyler and his family, Brady makes a decision that transforms his life---and uplifts his new friends. Where there's love, there's hope. Adapted from the best-selling autobiography Faith like Potatoes, this inspirational film weaves together the moving journey of a man who, like his potatoes, grows his faith - unseen until the harvest. This powerful DVD includes God's Farmer, a gripping, 54-minute documentary on the real life of Angus Buchan. Stranded in the middle of nowhere, five strangers take refuge in a deserted roadside diner. An arrogant businessman, a lonely woman, an estranged couple, and a teen runaway, they appear to have nothing in common. But the Christlike proprietor seems strangely all-knowing and offers more than temporal nourishment. . . . Stars Bruce Marchiano and Jaci Velasquez. Michael Oher (Quinton Aaron) knows little about family. Less about football. What the homeless teen knows are the streets and projects of Memphis. Well-to-do Leigh Anne Tuohy (Sandra Bullock) knows little about his world. Yet when she and Michael meet, he's found a home. And the Tuohys have found something just as life-changing: a beloved new son and brother. This real-life story of family and of Michael's growth into a blue-chip football star will have you cheering with its mix of gridiron action and heartwarming emotion. Share the remarkable journey of the college All-American and first-round NFL draft pick who was a winner before he ever stepped onto the playing field. Witness the transforming power of forgiveness! When Mac loses his son in an accident, his grief sabotages his career on the police force and makes for a combustible situation when he gets a new partner---part-time pastor and "rising star" Sam. How can they work together in life-threatening situations when they can't see eye-to-eye on anything else?